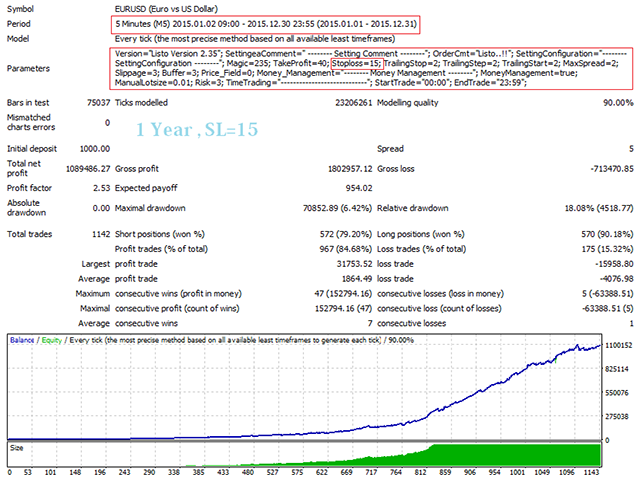 Listo Scalper is a fully automated Expert Advisor designed for Traders. Listo Scalp using several indicators. Recommendations for EA use EURUSD, GBPUSD, USDJPY. 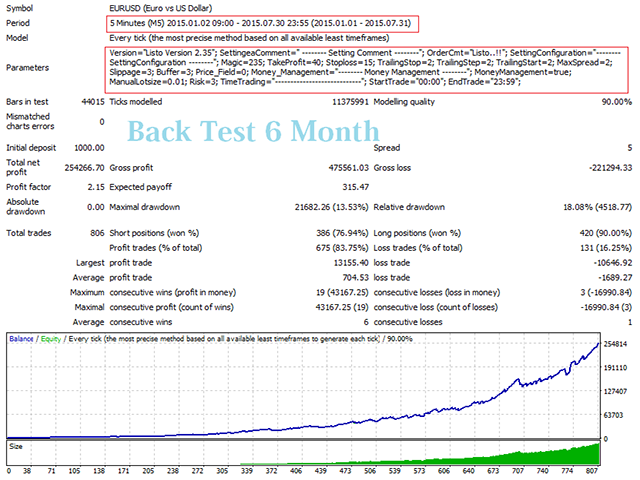 This robot trades on any Time Frame, please use this EA on M5 timeframe. 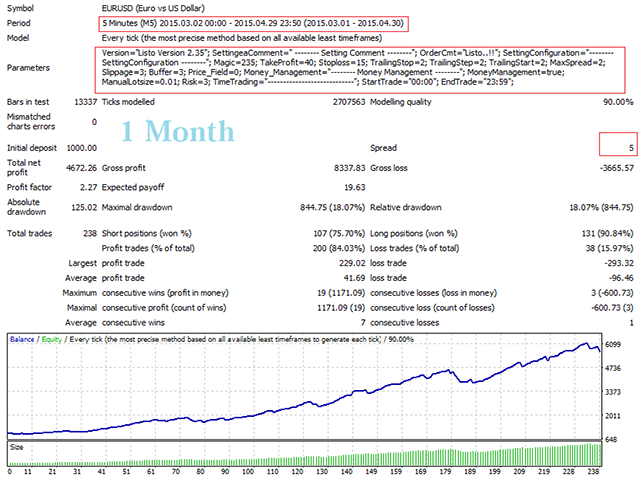 The system is ready-to-use with the setup is simple,with simple optimization on Take Profit, Stop Loss, and Trailing. Please use a good broker with low spread. Magic = 256 - magic number to identify the order's mode for the EA. TakeProfit =40 - Stop Loss in pips. Stoploss = 15 - Stop Loss in pips. TrailingStop = 2 - distance (in pips) to trail an open position. TrailingStep = 2 - trailing step in pips. TrailingStart = 2 - trailing start in pips. MoneyManagement = true - set to true to enable auto money management. If false, ManualLotsize is used. ManualLotsize = 0.01 - lot size. Risk = 3.0 - risk value.